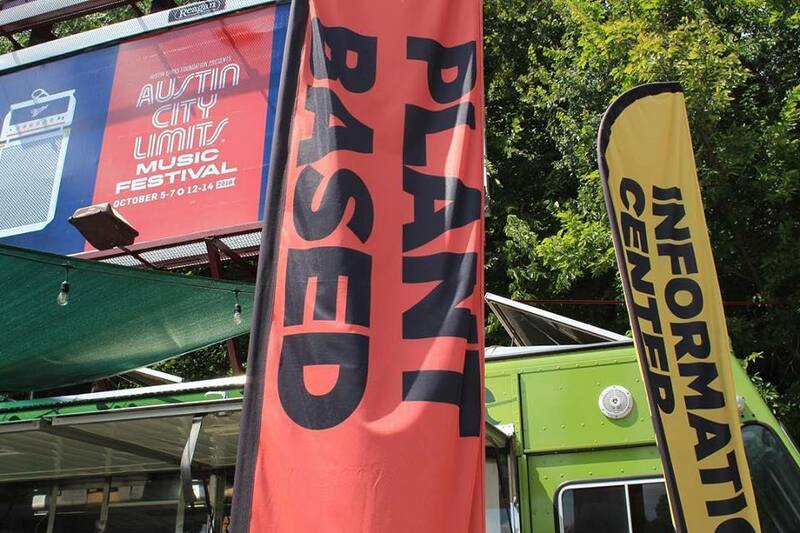 Visit Us at Barton Springs | Get Directions | ATX FOOD CO.
AT 1601 Barton Springs Rd. Get free recipees & special offers. We deliver all over Austin. ACL & ATX FOOD CO.
† Boring Legal Stuff. Individual results may vary. Check with your doctor if nursing, pregnant, or following a prescribed diet. These statements have not been evaluated by the Food and Drug Administration. This product is not intended to diagnose, treat, cure, or prevent any disease. Greetings, and welcome to ATX FOOD CO.! We collect information you provide directly to us. For example, we collect information when you register for an Austin Food Company account, sign up for a subscription, participate in any interactive features of our Sites, subscribe to a newsletter or email list, participate in a survey, contest, promotion or event, order or purchase (either for yourself or for another person) meals or other products made available through the Sites (collectively, the “Products”), apply for a job, communicate with us via third-party social media sites, request customer support, or otherwise communicate with Austin Food Company. Any communication or material you provide to us, whether received online, electronically, otherwise collected by or submitted to us, including any data, questions, comments, suggestions, or the like is and will be treated as non-confidential and non-proprietary. Anything you transmit or post becomes our property and may be used for any purpose, including, but not limited to, reproduction, disclosure, transmission, publication, market, research, development of prospect lists, project planning, broadcast, posting, and marketing, among other things. (a) Account Information: Such as your name, email address, password, postal address, phone number, subscription, delivery and dietary preferences, and any other information you choose to provide. (b) Transaction Information: Such as information about the Products you purchase, shipping and delivery information, and information related to returns, refunds, and cancellations. We may also collect and store limited payment information from you, such as payment card type and expiration date, and the last four digits of your payment card number; however, we do not collect or store full payment card numbers, for all transactions are processed by our third-party payment processor. (c) Information About Others: Such as the names and email addresses of gift recipients when you purchase gifts through the Sites or invite friends or family to try our Sites or Products. (d) Other Information You Choose to Provide: Such as when you participate in a survey, contest, promotion, or interactive area of the Sites, or when you request technical or customer support. B. Information We Collect Automatically. (a) Log Information: When you visit our Sites, our servers automatically record certain log file information, such as your Internet Protocol (“IP”) address, operating system, browser type and language, referring URLs, access times, pages viewed, links clicked, and other information about your activities on the Sites. (b) Mobile Device Information: We collect information about the mobile device you use to access or use our Sites, including the hardware model, operating system and version, unique device identifiers, mobile network information, and information about your use of our mobile applications, when applicable. With your consent, we may also collect information about the location of your device and access and collect information from certain native applications on your device (such as your device’s camera, photo album, and phonebook applications) to facilitate your use of certain features of our Sites. For more information about how you can control the collection of location information and/or our access to other applications on your device, please see “Your Choices” below. (c) Information Collected by Cookies and Other Tracking Technologies: We and our service providers use various tracking technologies, including cookies and web beacons, to collect information about you when you interact with our Sites, including information about your browsing and purchasing behavior. Cookies are small data files stored on your hard drive or device memory that help us improve our Sites and your experience, see which areas and features of the Sites are popular, and count visits. Web beacons are electronic images that may be used in our Sites or emails and help deliver cookies, count visits, and understand usage and campaign effectiveness. For more information about cookies, and how to disable them, please see “Your Choices” below. C. Information We Collect From Other Sources. We may also obtain information about you from other sources and combine that with information we collect directly. For example, we may collect information about you when you post content to our pages or feeds on third-party social media sites, or if you use credentials (e.g. username and password) from a third-party site to create or log into your Austin Food Company account. Austin Food Company is based in the United States, and the information we collect is governed by U.S. law. By accessing or using our Sites or otherwise providing information to us, you consent to the processing and transfer of information in and to the U.S. and other countries. Our Sites may offer social sharing features and other integrated tools, such as the Facebook, Twitter, and Pinterest buttons (e.g. “Like,” “Tweet,” and “Pin It”), which let you share actions you take on the Sites with other media. Your use of such features enables the sharing of information with your friends or the public, depending on the settings you establish with the entity that provides the social sharing feature. For more information about the purpose and scope of data collection and processing in connection with social sharing features, please visit the privacy policies of the entities that provide these features. 5. Advertising and Analytics Services Provided by Others. Austin Food Company takes reasonable measures to help protect information about you from loss, theft, misuse, and unauthorized access, disclosure, alteration, and destruction. Please understand, however, that no security system is impenetrable. We cannot guarantee the security of our databases, nor can we guarantee that the information you supply will not be intercepted while being transmitted to or from us over the Internet. In particular, email sent to or from our Sites may not be secure, and you should therefore take special care in deciding what information you send to us via email. We may also work with third-party social media sites, such as Facebook, to serve ads to you as part of a customized campaign, unless you notify us that you prefer not to have information about you used in this way. For more information about how you can opt-out of customized campaigns, please see “Your Choices” below. You may update, correct, or modify information about you at any time by emailing us at hello@atxfoodco.com. If you wish to deactivate your account, please email us at hello@atxfoodco.com, but note we may continue to store information about you as required by law or for legitimate business purposes. B. Location Information. With your consent, we may collect information about your actual location when you use our mobile applications. You may stop the collection of this information at any time by changing the settings on your mobile device, but note that some features of our mobile applications may no longer function if you do so. C. Cookies. Most web browsers are set to accept cookies by default. If you prefer, you can usually choose to set your browser to remove or reject browser cookies. Please note that if you choose to remove or reject cookies, this could affect the availability and functionality of the Sites. D. Customized Campaigns. You may opt-out of receiving our ads as part of a customized campaign conducted on third-party social media sites, such as Facebook, by emailing us at contact@atxfoodco.com. E. Promotional Communications. You may opt-out of receiving promotional communications from us by following the instructions in those communications or by emailing us at contact@atxfoodco.com. If you opt-out, we may still send you non-promotional communications, such as those about your account or our ongoing business relations.